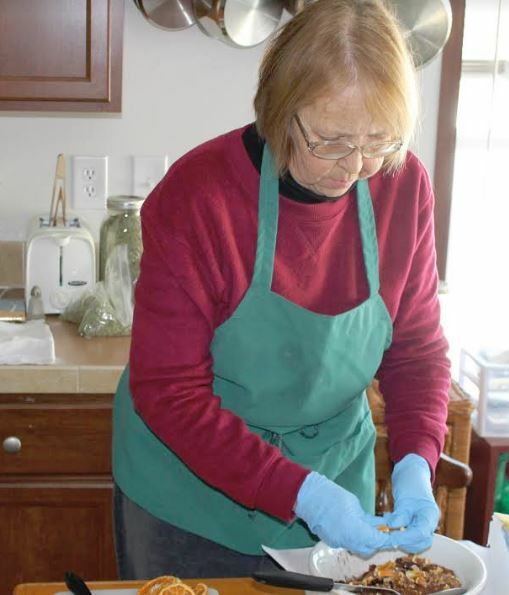 Creating herbal teas is a personal joy for Jan Grieco. My friend Jan, founder of Great North Woods Herbs & Botanicals is a true renaissance woman. Jan’s background includes author, college professor, journalist, dog advocate and now foodpreneur. At her heart Jan is a creative nurturer. So it wasn’t a big surprise when I saw she had launched a company that incorporates the herbs she grows in her amazing garden in Perham ME. Other people think Jan is awesome too. She recently won a micro small business grant competition that she’ll put to good use in marketing support of her herbal teas and botanical products. Way to go Jan! I am thrilled that Jan agreed to tell her story about her special teas. I’ve always been creative and always a bit of a perfectionist, and herbs have always been a part of my life, but blending teas has become a passion. I love developing a new blend that people really like, and I use high quality, organic ingredients so the finished product is the best it can be. Best, I get to sample every tea I develop! 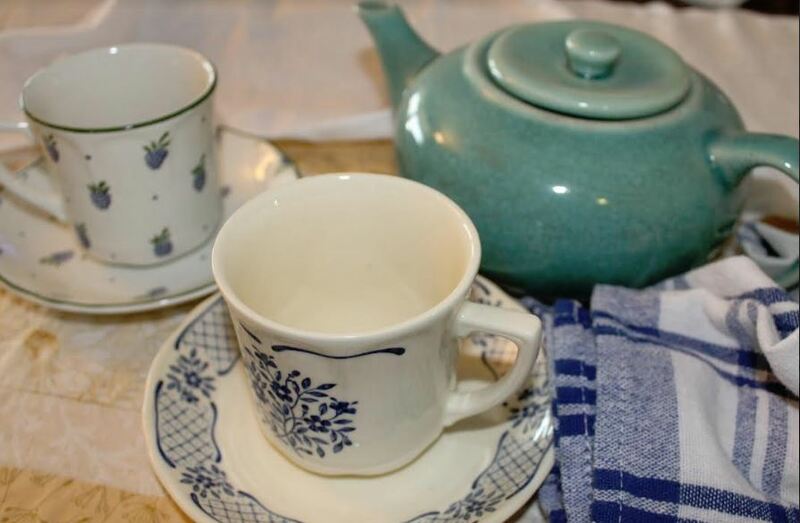 Diva Foodies: When did you first enjoy a cuppa tea and do you remember the type of tea? Jan Grieco, Great North Woods Herbs & Botanicals: I was a very small child, and my great grandmother, with whom we lived at the time, was Irish and loved her cuppa. 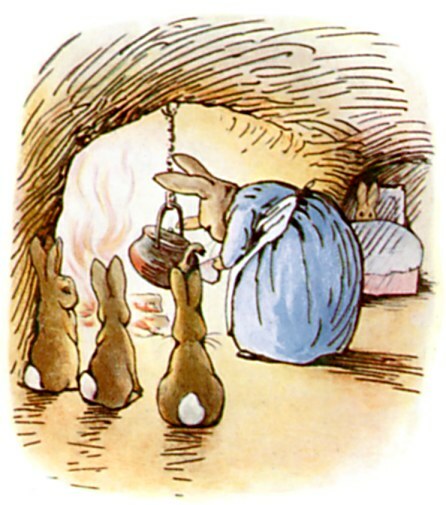 I remember watching her as she carefully measured in tea leaves into a china tea pot to steep. Likely it was a simple black tea, but once it had steeped, she would pour us each a cup. Of course, because I wasn’t even in school yet, mine would be a cambric tea – a splash of tea, a bit of sugar, and milk. But I remember thinking it was the best thing I had tasted! Jan Grieco, Great North Woods Herbs & Botanicals: I’m chuckling, because the milk and sugar echoes my earliest memories of tea. 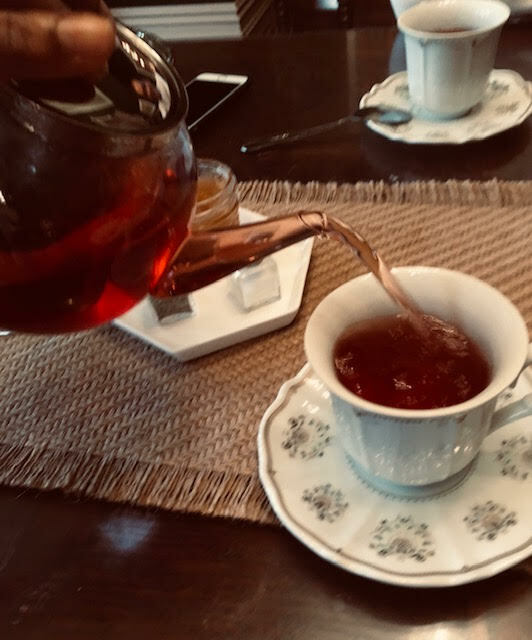 Now, however, I like my tea, whether true tea or herbal, I add just a bit of raw honey – it gives the tea a bit of support without overwhelming the flavors. No milk! That’s sacrilege for me. Traditional teas, really originated in India and China. They are from specific plants. Herbal teas are the result of people living in a local and using the plants and flowers around them to make teas. 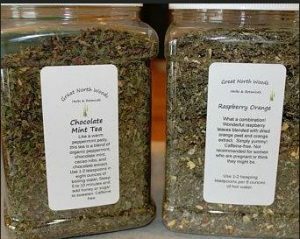 Jan Grieco, Great North Woods Herbs & Botanicals: “Real” tea, such as you mentioned first, must come from Camellia sinensis, a specific plant, although several varieties come from it. In part those teas depend on when and how they are picked, and how they are processed. In some cases, where the plant is grown affects its flavor. However, people from around the world have used local herbs and plants as teas since time began. As civilizations shared their particular cultural foods and teas, blends of tea, the real tea, were developed, such as Earl Gray, the British favorite. This tea is really a black tea – camellia sinensis, but it is flavored with bergamot oil from a bergamot orange (citrus bergamia) that grows in Italy and France. Herb teas were largely developed by native peoples in different parts of the world, based on experience and the wisdom of elders. One really good example is the teas that were used by colonists in America during the Tea Rebellion – Boston Tea Party. 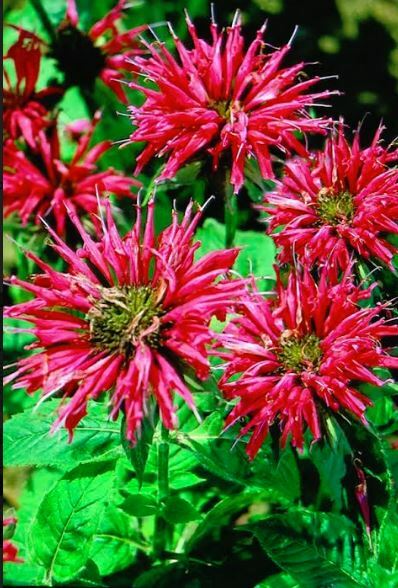 Native Americans introduced the colonists to Oswego tea (monarda didyma) that had a resemblance to the black tea from England. In New Jersey, ceanothus americanus, is another native plant that was used for tea. One benefit for both is that people can grow the plants – I do – and not only are they great for tea, but butterflies, hummingbirds and bees benefit from the plants. Diva Foodies: From sweet little tea shops popping up to elegant restaurants serving afternoon tea, tea drinking is now back in vogue, at least among many of our friends! Why did you decide to create a line of herbal teas as a business offering? I used catnip tea to soothe grumpy colicky babies years ago, and like Peter Rabbit’s mother, my mom and grandmother brewed up chamomile tea to calm over-stimulated children, me included, decades ago. I also had some of my own blends and I started there. People loved them, and it began to expand as people had requests. Diva Foodies: With flavors like wild blueberry and lemon, chocolate mint and raspberry orange your teas sound divalicious ~ almost too good to drink! How do you begin your creative process of determining what flavors to use? 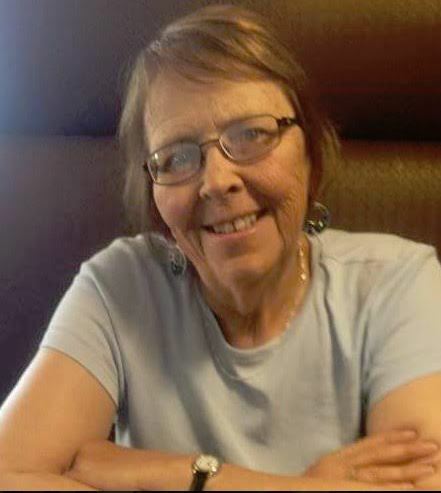 Jan Grieco, Great North Woods Herbs & Botanicals: I really like a blend of flavors in my food, so I’ve always used herbs and spices, sometimes ones that other people might think odd, and I play with them – trial and error – until I get the right blend. Maine is a blueberry state, so using blueberries seemed natural, and there is new evidence on the benefits of blueberries for health. I started there, and experimented on my own, and with my grandson, Silas, who really likes tea and who is highly creative. I started with a red rooibos – technically not a tea, but an African shrub long used as a beverage. It has a bit of spice to it. It served as a good base for the sweetness of the berries, but I wanted a bit of brightness to the tea, so I added in lemon balm, which I grow, and dried organic lemon peel. After fine-tuning proportions, there it was. Chocolate mint happened much the same way. I grow chocolate mint and have used it in a variety of ways, but a tea seemed perfect. However, I wanted both more chocolate and more mint, so I added in peppermint, roasted cacoa nibs and chocolate extract, and all these components are organic. Diva Foodies: Love that your grandson Silas is involved in helping create (and sell!) your innovative teas. Looks like you have an entrepreneur in the making. We noticed that you also have a North Earl Tea on your Etsy store. Is that something different from the other teas offered? It’s a Family Affair ~ Grandson Silas helps Jan make and sell Great North Woods Herbs & Botanical Tea! Jan Grieco, Great North Woods Herbs & Botanicals: This was one of the first teas I blended. I like the subtle orange tones in Earl Grey tea, but because we live so far north in Maine, I wanted it to have a more local flavor and body. It began with a good organic black assam tea, bergamot leaves, and then I picked and dried leaves and blossoms from bee balm – monarda didyma or Oswego tea and blended those in for the middle note and for color. It’s a nice blend both in flavor and color because there is the darkness of the assam flecked with the bergamot and bee balm leaves, and the deep red petals from the bee balm add a nice highlight that is visually appealing and adds to the flavor balance. Diva Foodies: Can a “tea bag” make a good cuppa or must you use loose leaves and why or why not? Jan Grieco, Great North Woods Herbs & Botanicals: Yes, it can, and more and more tea companies are selling do-it-yourself tea bags for people who prefer to buy loose leaf teas. One of the problems with the sudden surge in tea popularity is that some tea bags grow stale before their time. If people want bags, I encourage them to find a place to secure DIY tea bags and fill their own as needed. Diva Foodies: What is your favorite tea and why? Jan Grieco, Great North Woods Herbs & Botanicals: Oh, my! I do love the chocolate mint. However, when I’m tired and want a good night’s sleep, I’m more like to go with a lavender and catnip or even the orange cranberry spice. The first is a really nice calmative with the fragrant notes of the lavender, and the second is warm and soothing. And of course, although I never sweeten my coffee, I put about a teaspoon of raw honey in my tea because it supports the flavors rather than overwhelming them. Diva Foodies: Are you a tea mug or a tea cup & saucer person? Jan Grieco, Great North Woods Herbs & Botanicals: I have three lovely little tea cups that are strictly for sipping. But I love a mug when it’s cold outside, like it is now with the temperature at about zero! Diva Foodies: There are many, many, many herbal teas on the market. What makes Great North Woods, Herbs & Botanicals extra special? My focus is on creating highly brewable teas that soothe and comfort. Imagine on a cold night settling in with a steaming mug of chocolate mint tea that is like drinking a warm peppermint patty? Being small also means each batch gets individual attention. I never create more than 64 ounces of loose tea at a time, and I am constantly expanding the herbs I grow to use in my tea. That way, because they are picked fresh, then carefully dried in the dark, they rarely get stale. There’s a lot of love and personal involvement with our teas. Diva Foodies: A most important question – where can folks find your herbal teas? Jan Grieco, Great North Woods Herbs & Botanicals: I have an etsy shop: Great North Woods Herbs and Botanicals. Now I’m blending a chocolate rose petal and a love potion, for example, for Valentine’s Day. 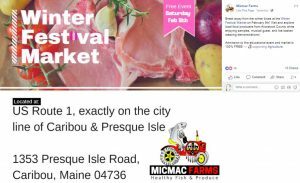 And for our local folks, I do a monthly Harvest Festival for Aroostook County growers and producers with the local Native Americans MicMac community, and I have done local deliveries for people nearby. 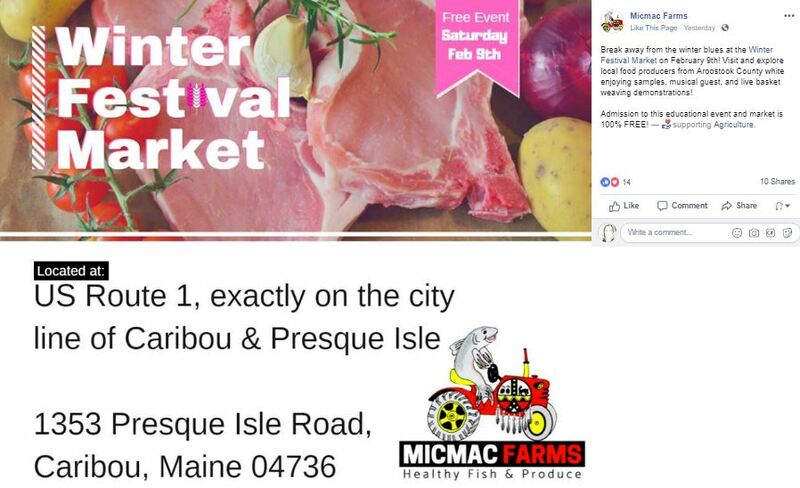 On February 9th, I again will be at MicMac Farm’s Winter Festival Market where producers and growers from northernmost Maine offer great food and other items produced locally to the public. This is a once a month event held at the Farms’ Route 1 location right on the Presque Isle/Caribou Maine town line. Tea By Weight or Volume Ounce? Now You Know! I also sell all my teas by volume ounce. That means I go by measure of volume, rather than weight. This is because most tea is brewed by volume: two teaspoons or two tablespoons by eight ounces of hot water. And, there is a difference in the weight of the teas. For example, my Aroostook Autumn tea is largely spices or solid roots rather than leaves. By weight, four ounces of that tea results in fewer cups of brewed tea than four ounces of Chocolate Mint or Raspberry Red Rooibos that have more dried leaf than spices or roots. A volume ounce equals a heaping tablespoon of tea, easily enough for two six-ounce cups of brewed tea. 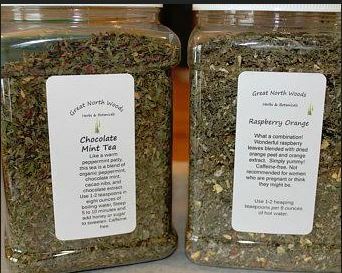 Diva Foodies: Paired with a sweet tea cup , Great North Woods Herbs & Botanicals would certainly would make a lovely Valentine’s Day (or anytime!) gift. Should tea water always be boiling hot? 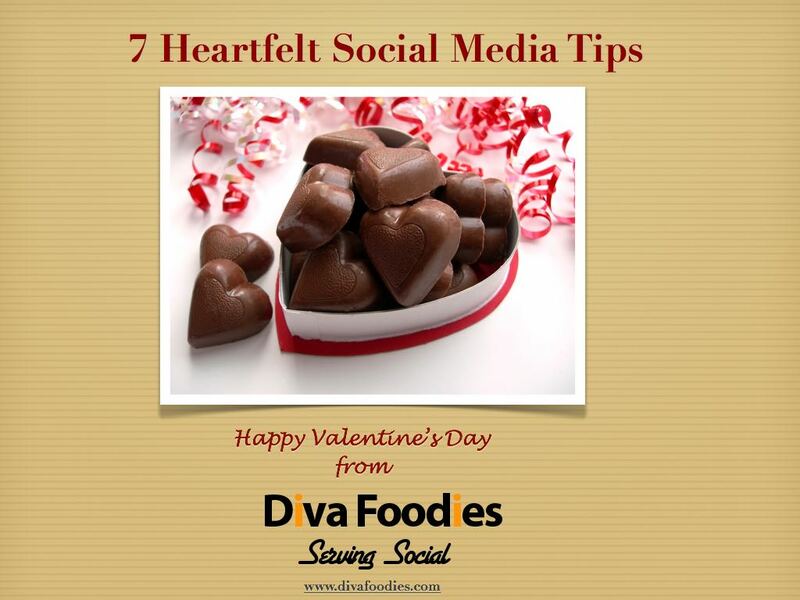 A valid eMail address must be included on the “Post a Comment Section” of your Diva foodies comment. (How will we know where to contact you to send your teas?) Your email will NOT show up on the post. 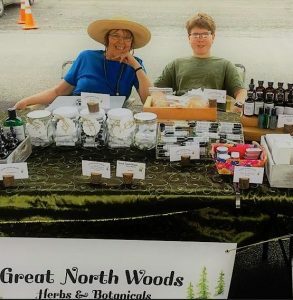 Connect with Jan and Great North Woods Herbs & Botanicals! BUT… to answer your question it does not have to be boiling hot. 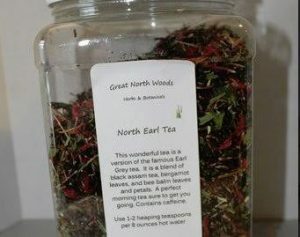 Tracy – Thanks for joining us in the ‘Great North Woods Herbs & Botanicals’ Virtual Tea Party! Congratulations Jan!!! I am so excited to support and help promote this venture! Shonna – Thanks for your support of Jan and her divalicious teas! Nope. Different teas (and tisane) require different water temperatures to exact the perfect cup or pot. Some teas are even enhanced by the Gong Fu method of rinsing tea leaves before the final steep. 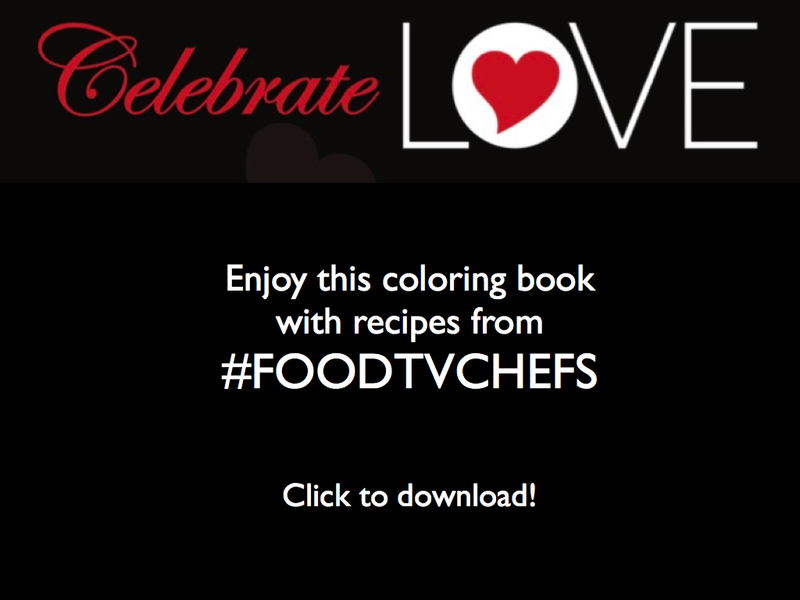 Chef William – Appreciate you joining in the fun of our virtual tea party contest! Thanks for the added information on how to brew the perfect cuppa!